Providing business market data in the field of agriculture; market analysis in the field of agriculture; marketing consulting in the field of agriculture; providing manufacturers of crop-input products a direct link to their grower-users, namely, promoting the goods of crop-input products manufacturers through publications, local and regional seminars, direct correspondence, and a web site at which their grower-users can link to them; brokerage services for selling agricultural products in the field of crop protections, crop desiccants, crop nutrients, irrigation equipment, farm equipment, storage equipment, processing equipment, packing equipment, packaging equipment, packaging, crop input products and equipment for businesses in the field of agriculture. 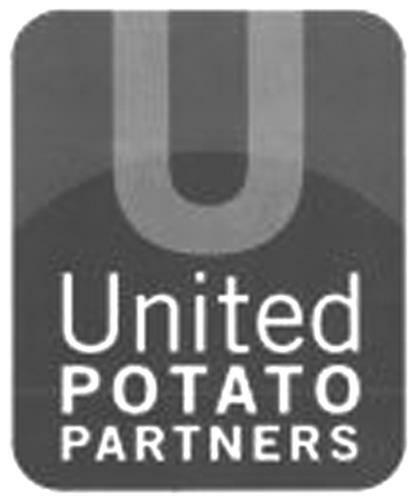 On Friday, November 21, 2008, a canadian trademark registration was filed for the above pictured logo by United Potato Growers of Ameri 123 Wright Brothers Drive, Suite 110, Salt Lake City, Utah 84116, UNITED STATES . The Canadian IP office has given the trademark application number of 1419130. The current status of this trademark filing is Registration published. The correspondent listed for is SMART & BIGGAR of SUITE 900, 55 METCALFE STREET, P.O. BOX 2999, STATION D, OTTAWA, ONTARIO, CANADA K1P5Y6 The trademark is filed in the description of Providing business market data in the field of agriculture; market analysis in the field of agriculture; marketing consulting in the field of agriculture; providing manufacturers of crop-input products a direct link to their grower-users, namely, promoting the goods of crop-input products manufacturers through publications, local and regional seminars, direct correspondence, and a web site at which their grower-users can link to them; brokerage services for selling agricultural products in the field of crop protections, crop desiccants, crop nutrients, irrigation equipment, farm equipment, storage equipment, processing equipment, packing equipment, packaging equipment, packaging, crop input products and equipment for businesses in the field of agriculture. .
(1) - Providing business market data in the field of agriculture; market analysis in the field of agriculture; marketing consulting in the field of agriculture; providing manufacturers of crop-input products a direct link to their grower-users, namely, promoting the goods of crop-input products manufacturers through publications, local and regional seminars, direct correspondence, and a web site at which their grower-users can link to them; brokerage services for selling agricultural products in the field of crop protections, crop desiccants, crop nutrients, irrigation equipment, farm equipment, storage equipment, processing equipment, packing equipment, packaging equipment, packaging, crop input products and equipment for businesses in the field of agriculture.